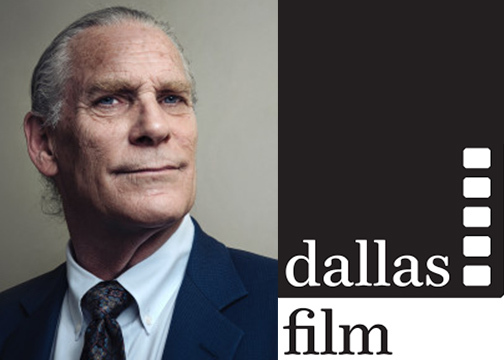 Dallas Film will honor Trammell S. Crow with The Stodghill Award at the 2019 Spotlight Luncheon set for Wednesday, February 13, 11:30 a.m. to 1:30 p.m. at Four Corners Brewing Company (1311 S. Ervay Street, Dallas, Texas 75215). The Stodghill Award recognizes individuals for their long-term philanthropic efforts on behalf of the art of film. Proceeds from the luncheon will benefit The Veterans Institute for Film & Media (VIFM) powered by Capital One. VIFM is an innovative program of Dallas Film that prepares veterans for careers in film, TV and digital content production through education, mentorships and job placements. The Stodghill Award was created in honor of two of Dallas Film’s most ardent supporters, Steve and Anne Stodghill. The award itself is a signature sculpture designed by Brad Oldham Sculpture. In his faceted Art Deco style, Oldham sculpted a Thespis-like character sitting in a movie theater chair with his comedy and tragedy masks in one hand and a bucket of popcorn in the other. The award design serves to express the concept that the viewing experience is highly relatable and timeless while ultimately democratizing the industry, as anyone can be transported via the story told. America has been at war for more than 17 years – the longest period since the Vietnam War. More than 2.5 million men and women have served since 9/11, and more than 1.5 million have separated from the service since then. Today, more than 500 service members will become civilians, and 65-80 percent of them have not lined up a job to help them reenter the civilian workforce. The goal of the Veterans Institute for Film & Media is to unite U.S. veterans with the civilian community.